Sorry for the slow updates on my blog, been really busy with short semester. After the hectic days and my mid-term exam, I decided to pamper myself by letting myself got for a manicure and pedicure session at BeeQNails, the OPI partner! The shop building is painted in sweet pastel pink and has pretty nail polishes droplets. I spent some times looking for the shop as Waze directed me to the shop lots before that. If you happened to face the same problem as me, drive further towards LDP and you will be able to see the shop on your left. (assume that you're using the same route as me) Sorry that I couldn't provide more direction as I am direction-less out of Penang. I will attach the address below or you could always call to inquiry. As soon as walking into the shop, I has been welcomed. The big counter attracted my attentions. On top of the counter was several products and services booklet. There is also a rack with many nail products sitting on top. I were offered some beverages, green tea for me. 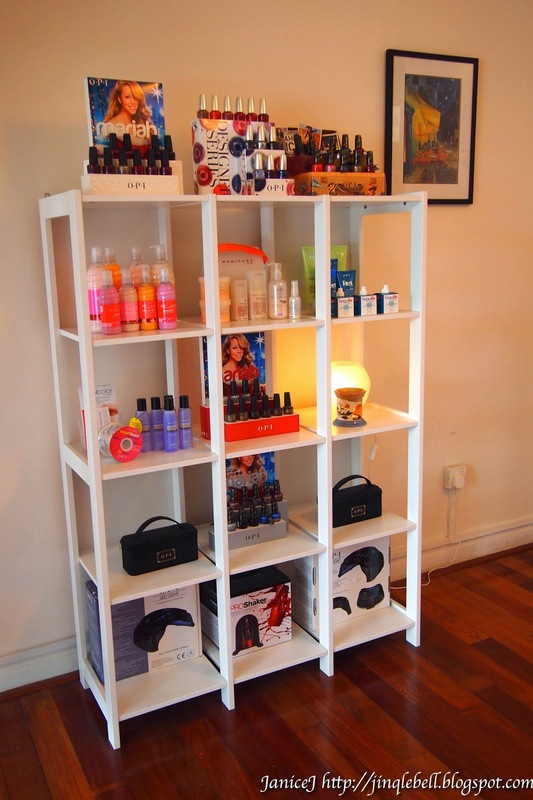 The shop is indeed very spacious, and has really nice lighting and ambience. Somehow it smells nice to me too. This is the place where they display all available designs, and decals. 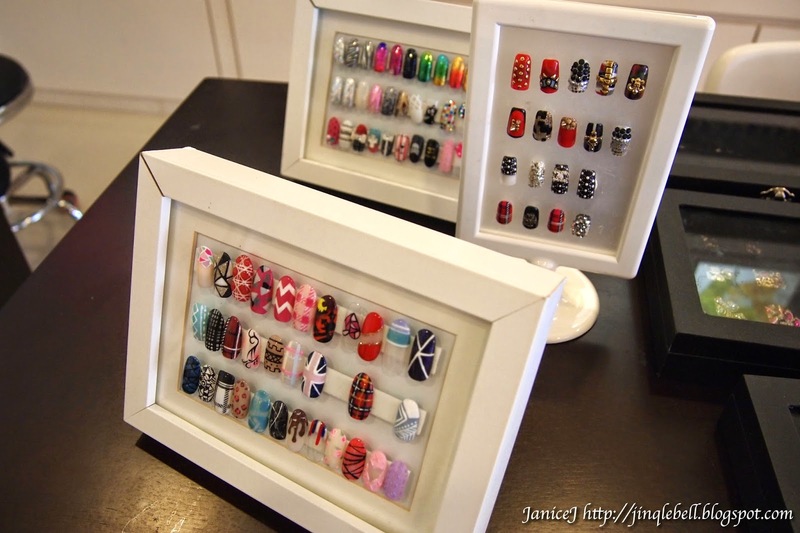 Look at these nail polishes! I call it the "BIG wall of nail colours.!" I am glad to have Melissa, the shop owner to done my gel nail. The process starts with her cleaning off my finger nails and then shape it. I have really brittle nails so they can't really grow long. Melissa is very helpful and she advises me on what I can do to grow longer nails. Like usual manicure, follows by the cuticle removal for pretty nails. I have some bad experience where the manicurist will push and cut the cuticle till it bleeds. However, I am pretty lucky to have gentle manicurist like Melissa to do things in the proper way. No pain! Done shaping my nails! 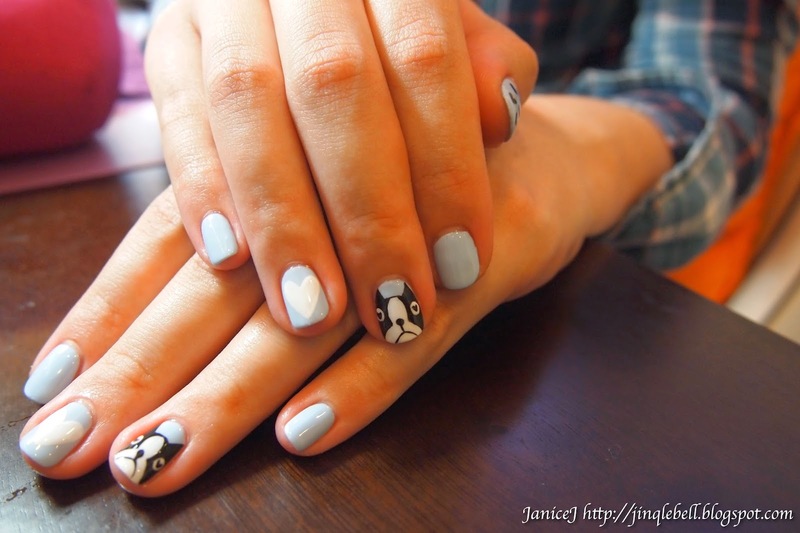 I was looking for nail art designs. You can always request your desire design or just pick from their selections of designs. There are also Japanese magazines that have tons of pretty designs for you to choose. I have a few on my mind that I decided to try next time! What's more exciting? There is promotions for students, or happy hour nail sessions, which I will post it at the end of the post. P/s: and also the wifi password! Time for nail painting, colours are carefully applied on my nails. I love how they use LED light to cure gel nails. I always have this thought that UV light is very bad for the skin. Now I do not have to worry anymore. Base done and now proceed to the nail art. This is by far the most crucial part as anything wrong will go and ruin the whole thing. As expected, still the same good job. The treatment come with two products, the hand and body scrubs (with fine sugar in it), and the lotion. It leaves my skin super soft and smells great. I personally love the body scrub as it is not harsh for the skin due to the natural scrubbing ingredient inside (sugar!). Also, there are many antioxidants, vitamins and avocado oil in it. Then there's the time for pedicure. Okay there is all for my experience there! I will probably go over there in few weeks time to remove the gel nail (for free!) and to have another session before heading back to Penang. Let's see what promotion are ongoing now! Exciting right? Really think that the students promo is worth the every single cents! You can follow BeeQNails instagram for more exciting designs. just Like their Facebook Page! 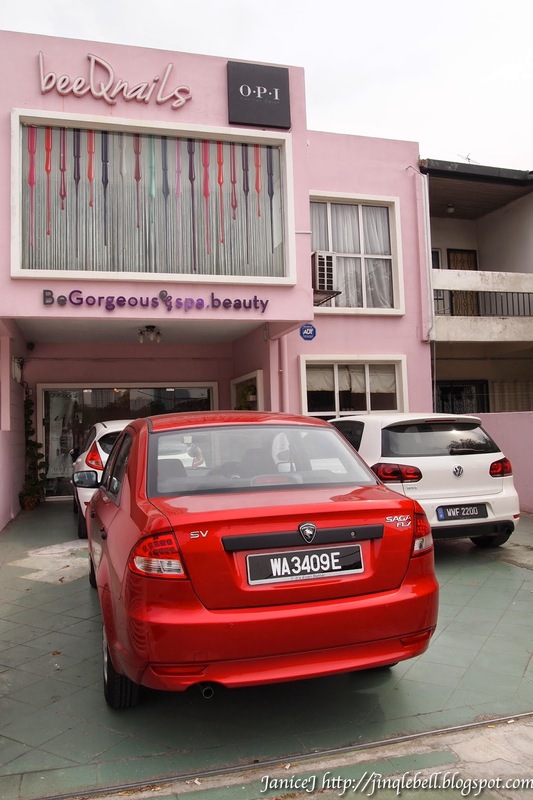 Address: No.89 Jalan SS2/75, 47300 Petaling Jaya, Selangor. If you think my post ends here, not yet! Quote "Janice E Jinq" or mention my blog to get additional 5% off your bill!